Free Dairy Queen Gift Card! Rebate Center » Free Dairy Queen Gift Card! 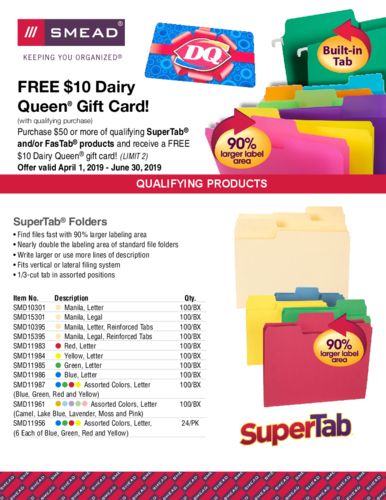 Purchase $50 or more of qualifying SuperTab and/or FasTab Smead products and receive a free $10 Dairy Queen gift card!